As you leave the northern German metropolis at dusk, you can look forward to an interesting passage through the impressive Kiel Canal the next day. The Danish capital is full of options just waiting for you to discover them. Walk to the famous Little Mermaid, through Nyhavn or past grand merchants’ houses. A tour* will take you to sights such as the Royal Opera House and the National Museum before ending in style with a boat trip. The skerry landscape greets you as you arrive at cosmopolitan Stockholm with its relaxed atmosphere and array of galleries and boutiques. Explore the old town on a guided walking tour* and pay a visit to the Royal Palace. Or choose an exciting tour* above the roofs of Stockholm and be amazed by the panoramic views. See the historic districts and the Royal Palace from the air on a helicopter flight*. The popular city of Tallinn is rich in history with an old town that has been granted UNESCO World Heritage Site status but also has a modern side. Discover the city with an active Segway trip* or enjoy Tallinn’s coffee shop culture. The “Paris of the north” – with its grand boulevards and classical buildings – will spoil you with its many highlights. A tour* of the city will show you sights such as Senate Square and the Rock Church. Or take a catamaran* to the outlying islands. Come face-to-face with the splendour of the tsarist era at Catherine Palace* with its legendary Amber Room. Look forward to exclusive moments: the Hermitage* will open its doors exclusively for the guests of the EUROPA 2 in the evening. There are also real works of art to be seen in the form of the stations on the famous St. Petersburg metro* with their mosaics and sculptures. . MASTERPIECES OF THE JEWELLERY TRADE. Take a private tour* of the fabulous Faberge Museum. The picturesque fishing villages and the sand dunes of the Curonian Spit which reach heights of up to 60 m (197 ft) were once the backdrop for Thomas Mann’s summer retreats. There is no other peninsula like this in the world and its beauty is sure to make a lasting impression as you explore it on a scenic tour*, with land sailing on the beach* or during a walk on the dunes. Encounter the Scandinavian charm in the summer town with its historic streets and half-timbered houses. Beautiful sandy beaches await you on a trip* to the south coast. 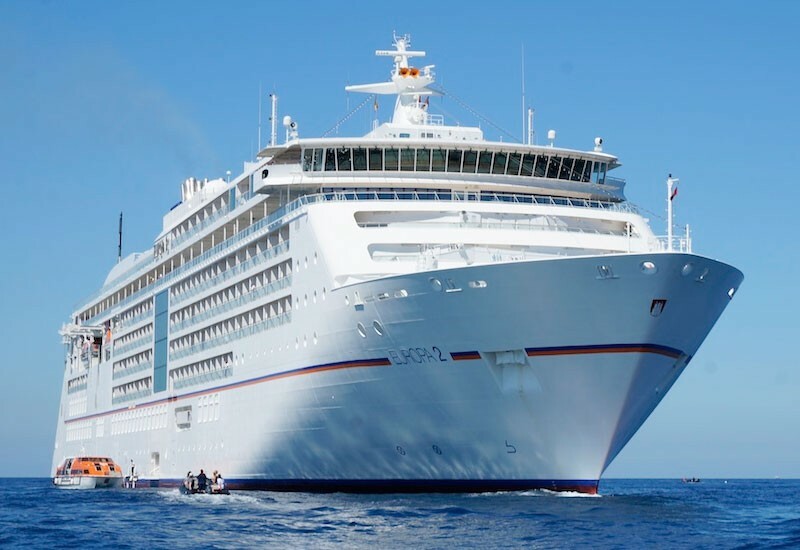 Your cruise on board the EUROPA 2 comes to an end in the port of Kiel.